The third-year Digital & Technology Solutions apprentice, employed by AstraZeneca in Macclesfield, came out top in the ‘Higher or Degree Apprentice of the Year’ category at the National Apprenticeship Awards North West. He will now go forward and represent the region at the national awards in January. The former pupil at Tytherington High School was part of a pioneering group of degree apprentices, who joined the first cohort at Manchester Met back in September 2015. This means that Ryan combines his full-time role as a Project Support Officer with his part-time studies and he is excelling on both fronts. Ryan is now in the third year of his university studies on the Digital & Technology Solutions programme, which has seen him study subjects such as Web Design, Information Systems, Computing and Technology Management. 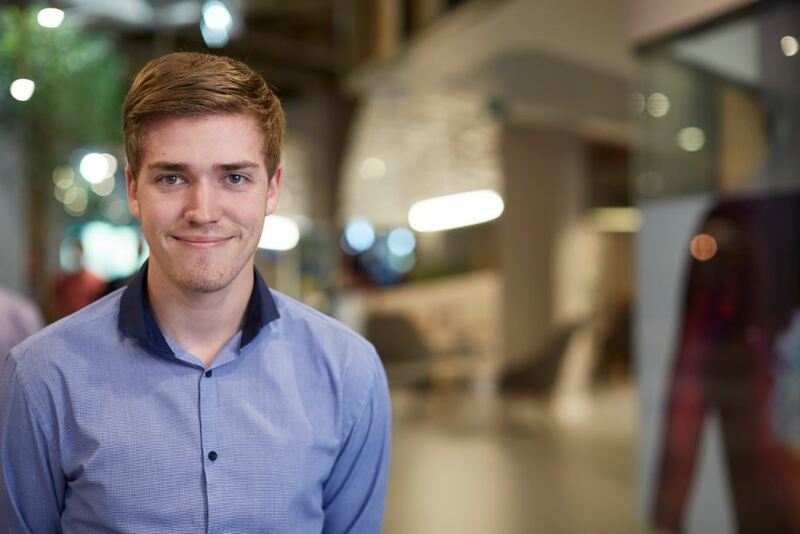 “I’m also really enjoying studying alongside working because I feel that everything we do at university relates to things I’m doing at work, so I can immediately apply my learning.” said Ryan. The increasingly important role of degree apprentices, including almost 20 at AstraZeneca, was highlighted in a recent Radio 4 Documentary, ‘The Free Degrees’. If you’d like to find out more about employing a degree apprentice, please visit our dedicated degree apprenticeship website.